The token is Aion (AION) SWAP . This is a common process in the cryptocurrency world, and one we’ve dealt with before. Here’s how it works: A project will raise money through an initial coin offering (ICO). This is generally done on Ethereum, creating an ERC-20 token. Then, once the project’s blockchain is up and running, it swaps the ERC-20 token for its native token. Once it completes the process of swapping tokens to its native token, the old ERC-20 tokens become worthless. So it’s crucial you swap your tokens to make sure you don’t lose your funds. Regular readers have been through this process with projects like EOS.IO and VeChain. Each ERC-20 AION token will be converted at a one-to-one rate for the native AION token. The first is to leave your AION tokens on an exchange that supports the swap. The exchange will facilitate the swap process. The second option is to use Aion’s Token Transfer Bridge. It will enable you to swap your ERC-20 AION tokens for the native token without having to use an intermediary. The Aion token swap will last until the end of November. As we said, you must swap your tokens before then. Once the swap is complete, the old ERC-20 AION token will have no utility, and thus, no value. This is the easiest option and will require the least amount of time. However, please note: You’ll have to wait until the exchange completes the swap process to get your native AION tokens. Further, there’s exchange risk. That’s the risk something goes wrong with the exchange, impacting your holdings. If this is a concern for you, then you’ll want to use the Aion Token Transfer Bridge. That way, you will avoid using an intermediary. KuCoin will support the Aion token swap. To date, it has not yet announced when the swap will take place or the deadline to transfer your tokens. If you’re using the exchange option, your best bet is to deposit your ERC-20 AION tokens to KuCoin now. That way, whenever the swap does take place, you’ll already be prepared. We’ll do our best to alert you of the deposit deadline. That was our plan with Binance. However, Binance announced its swap on a Saturday and only gave 48 hours to make deposits. This is not a process we want to rush, especially with other options available. The good news is that if you already had your AION on Binance, your tokens have been converted. You now own the native AION tokens and don’t need to take any further action. The general process is that the exchange will halt deposits, withdrawals, and trading at a predetermined time. It then completes the swap over a 24- to 48-hour period (but sometimes longer). And then deposits, withdrawals, and trading resumes with the new token. You can then access your new, native AION tokens. As we mentioned, KuCoin hasn’t set an exact time yet. We’ll update you when it does. But if this is the route you’re going, it’s best to deposit your ERC-20 AION tokens now. If you don’t want to use an exchange, you can move the tokens over yourself. The instructions for that are below. Continue reading the first eight steps below to create an Aion wallet. You’ll need to store your AION coins off an exchange and in a wallet once the swap is completed. The first time you move your own tokens can be confusing. So move just one token first and get comfortable with the process before moving all your tokens. To complete the Aion token swap using the Aion Token Transfer Bridge, you’ll first create an Aion wallet. Then, you’ll generate the swap transaction using the Aion Token Transfer Bridge. We’ll also share a video walking you through the instructions below in the coming days. Download the Aion Wallet. See the picture below for Windows, Mac, and Linux users. Your computer will ask you if you want to run the program. Click “More Info” and then, “Run anyway” to proceed. See the picture below. Save your Aion wallet to your computer. You’ll be prompted to install the latest version of Java. Click “Install.” See the picture below. 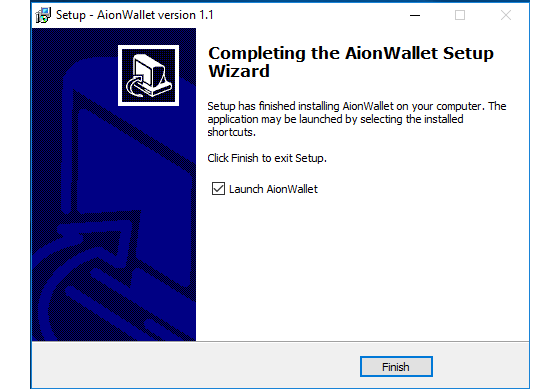 Once the installation is complete, click “Finish,” and launch the Aion wallet. Once the Aion wallet launches, create your account. Click the “Add account” button. See the picture below. Under “Create Account,” give your wallet a name, and create a password. Make sure to store the password in a safe location. IF YOU LOSE YOUR PASSWORD, YOU WILL LOSE ACCESS TO YOUR TOKENS FOREVER. After creating a name and password, another pop-up box will appear with your mnemonic phrase. You will need this phrase if you ever need to import or recover your wallet. Make sure to store the password in a safe location. Click “Unlock account,” and enter your password. See the picture below. 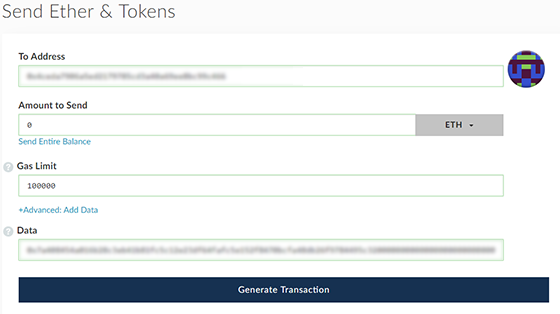 Once the account is unlocked, the wallet will display your Aion public address. Please note: You will need this address for Step 10. Go to the Aion Token Transfer Bridge webpage. Confirm you are on a secure website. You should see “Aion Foundation [KY]” in the address bar, as seen in the picture below. The picture below shows the Aion Token Transfer Bridge webpage. To start, fill in the number of ERC-20 AION tokens you are swapping and your Aion public address. Refer back to Step 8 for your Aion address if needed. Once the information is filled in, check the verification box. See the picture below for the order of steps. You will be given two options to send the transaction: through a pre-populated wallet hotlink or manually. Use the MyEtherWallet hotlink. See the picture below. 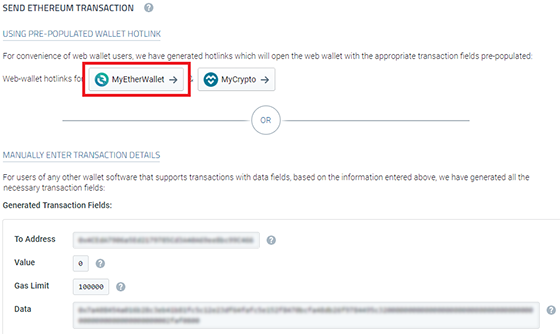 Click the MyEtherWallet hotlink. That will open MyEtherWallet. Log into MyEtherWallet as you normally would. Once logged in, you’ll be taken to a pre-populated transaction page. See the picture below. Do not change any of the pre-populated information. However, you can verify the data by comparing it to the data from the manual option in Step 11 to the pre-populated data. It should all match. A pop-up will appear with the details. Finally, click submit on MetaMask. Once the transaction is completed, a transaction hash will be generated. You can find it at the bottom of the MyEtherWallet page. See the picture below. Go back to the Aion Token Transfer Bridge webpage. At the top right of the page, there’s a search box. Enter your transaction hash. Click “Track” to check the status of your swap. See the picture below. You have completed the token swap process. 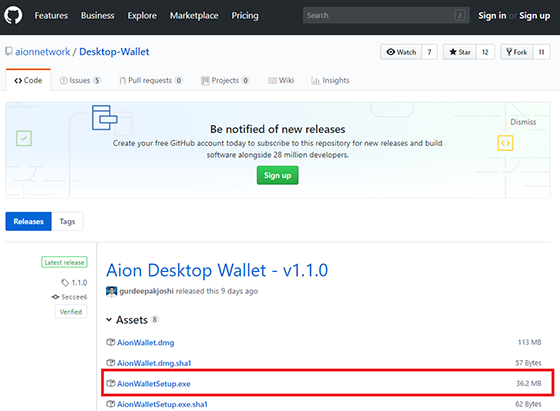 Once completed, you’ll see your new, native AION tokens in your Aion Wallet. Thanks For Making It Till Here . Generally Indicate’s Momentum (Looking It Will Decrease Or At least Go For A Cool Down), Further We See Start Of Averaged Down Side Movement . Current Indicator’s And Price Movement Is Not Enough To Push Bitcoin Through The Resistance’s . We Are Still Consolidating If You See Bigger Picture . Look For Bearish Divergence On RSI And Short ! How To Spot It ? Check The Figure Above . PS : Do Not Short Till You See Divergence ,Ride The Rally And Enjoy The Profit’s Till Then !! Please find this week’s Crypto Capital weekly update below. The transcription will be up soon.